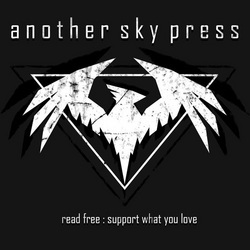 We want people to read our books, even if they read them for free. This isn’t anything revolutionary – unless your local librarian is a subversive of the highest order. To best accomplish this goal we release all of our books online for free. Because we know how good ‘real’ books feel in your hands, we also price our trade-paperbacks via a sliding scale system in which the base price is the cost for us to ship you a book (we don’t make a penny) and you set the final price by choosing what you’d like to contribute (if anything) to the creative team behind it (most of which goes to the author). You can’t ever be ripped off. We call this pro-artist, pro-audience system neo-patronage. There are a whole bunch of reasons we are doing this. Some of them are idealistic (we trust people!). Some of them are economic (we want everyone to be able to afford our books!). Some of them are philosophical (we believe it is a better system!). Some of them are technological (flow with technology, don’t fight it!). But really, it comes down to something very simple: I sat down and tried to figure out a system of commerce that was as ‘pure’ as possible. One free of greed. One that gave as many people as possible the ability to be a part of it, whether as artist or audience. One which allowed the artists who excelled to be compensated and thus continue to create art. And this system of neo-patronage is what I came up with. Is it perfect? Will it work? Questions, questions, and there’s no way to know the answers until it’s been tried. And so I am, with the help and dedication of others who want to see this system thrive.